2011 was a fairly trying year for the world as a whole with man-made problems of economic turmoil and political strife, as well as natural disasters and bad weather. But in spite of the environment Harris Educational had a wonderful year in 2011. I’m attributing this to hard work and dumb luck on our part but I know the biggest reason for our success was due to our readers, our fans, our customers, the good folks at ShopBot, Make Magazine, and all the wonderful resellers of our Reinventing Science kits. Our year started out with an upgrade to our science kit production capabilities in the form of a new CNC Router. Our goal was to automate the production of some of the parts of our Reinventing Science kits and also to allow for new product development of parts that would not be easy to achieve using other more traditional methods. To learn how to use the new router my first project was to build a custom computer case and a new computer that we could use to edit and produce more video. The Ingenematic Visitron was born and I’m proud to say that the story was picked up by Hack-a-day sending quite a few visitors to our blog and making us a few new fans. In June my nephew Brian helped me again and we exhibited Harris Educational and the Reinventing Science kits at Maker Faire NC in Raleigh. (Tons of Photographs Here, Here, and Here) Maker Faire NC was in its second year and it was great to meet and become involved with all of the folks responsible for making this faire a reality. Two other great things came out of this mini maker faire. Thanks to a sign in our booth asking Alamance County people to say hey to us I met a couple of folks who have become founding members of our new Alamance Makers Guild. 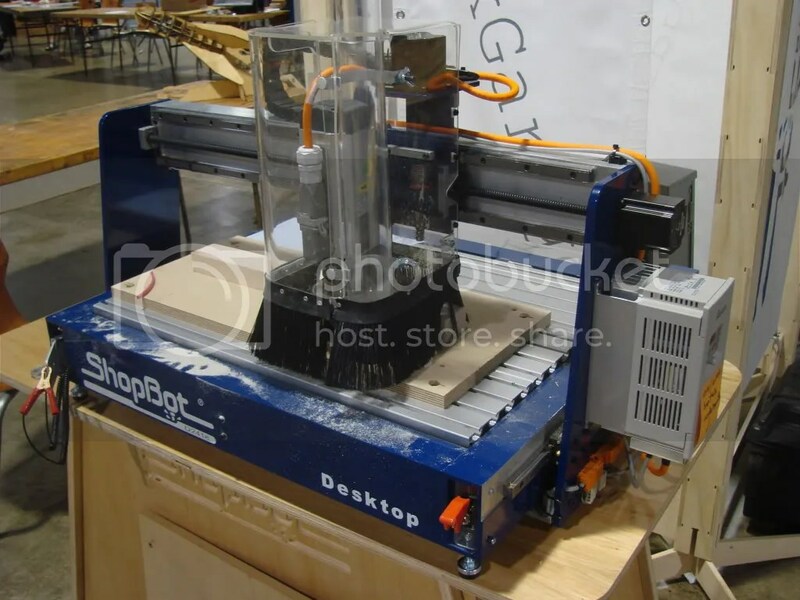 The second thing to come out of MFNC is our new relationship with ShopBot tools of Durham NC. Harris Educational is now working with ShopBot to create STEM based curriculum materials around Digital Fabrication technologies such as their CNC Routers. The second half of our year has seen quite a bit of development on this project, not to mention the addition of a ShopBot desktop CNC Router to our list of tools. In July and August more people learned about Harris Educational thanks to some local news stories. The first was a full page article written about us in the Burlington Newspaper, “The Times News.” This story then got the attention of WGHP Fox 8 news out of Greensboro NC who interviewed me for the evening news segment “Made in NC” You can see the video above. In August I set up a “Meeting of the NC Makers” including the folks from ShopBot Tools, Roy Underhill from PBS’s Longest Running DIY Show “The Woodwright’s Shop”, the folks from Maker Faire NC, and some others for a fun day of woodworking in high tech and in historical contexts. In the morning Roy Underhill visited ShopBot tools to see CNC Routers in action, and after a great lunch at Ted Hall’s house in Durham, everyone visited Roy Underhill’s Woodworking School in Pittsboro NC. While there I shot put together the following videos. With support from the folks I met at Maker Faire NC I’ve officially launched “The Alamance Makers Guild” through a meetup.com group, a fan page on facebook, and a twitter feed. We’re now holding regular monthly meetings and members have shared their talents and their creations including some really cool wood turnings, steam punk art pieces, and even a home made tesla coil! Much more with the Alamance Makers guild in 2012. This year also saw our first international sale of Reinventing Science kits with the addition of a new reseller in the Republic of Korea. The year also saw the addition of Pasco Scientific as a dealer, and Educational Innovations adding our Reinventing Morse kit. We’ve also laid some groundwork for the setup of some more new resellers for 2012. Sales for the kits continue to increase, a great accomplishment for such a flat economy. The year finished out with some very positive recognition of our Reinventing Science kits! The Surprising Science blog at the Smithsonian picked our Reinventing Edison: Build your own Light Bulb science kit as one of the top 10 best gifts for Science lovers. We were also highly honored to have been picked by Make Magazine as one of 12 Science Kits reviewed in their “Ultimate Kit Guide” special edition. We received a 5 out of 5 for the quality of our instructions and our materials! I was also very happy to read all of the comments about the kit when they gave one away at their blog. 2011 was a great year for Harris Educational and I’m sure 2012 will bring all new challenges and opportunities. Thanks to everyone who supports us!